I first met Bhatia at our friends Kaaren and Kevin Palmer’s home in late 2016. Kaaren had recently published her award winning book ‘Champagne a Tasting Journey‘. 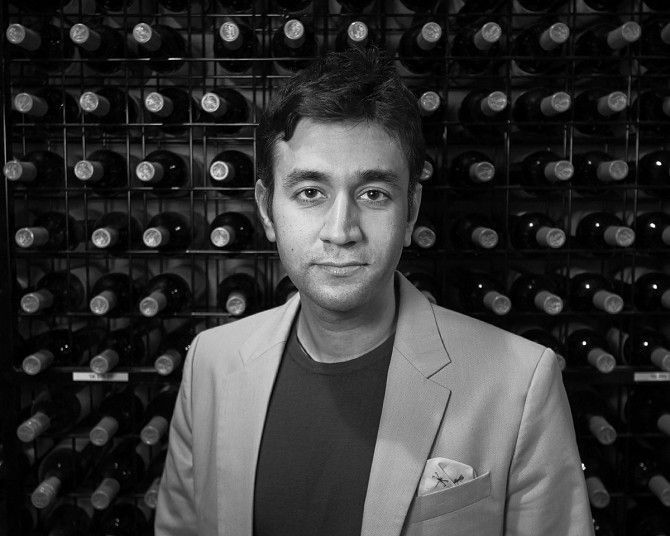 Bhatia was then the head Sommelier at the Penfolds Magill Estate restaurant and was doing some research into Growers Champagne. He went on to establish a very extensive ‘Growers’ list at Magill. 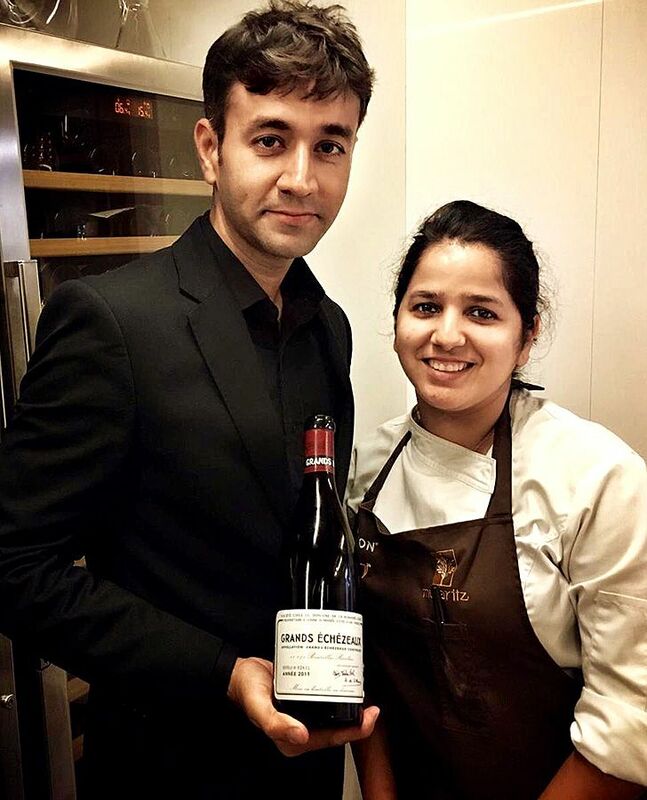 Bhatia has an impressive record as a Sommelier at many International fine dining establishments, including a three year stint at Raffles in Singapore. Last year Bhatia was awarded a partial scholarship with Le Cordon Bleu International for one of its most prestigious programmes. The ‘Hautes Etudes du Goût’. 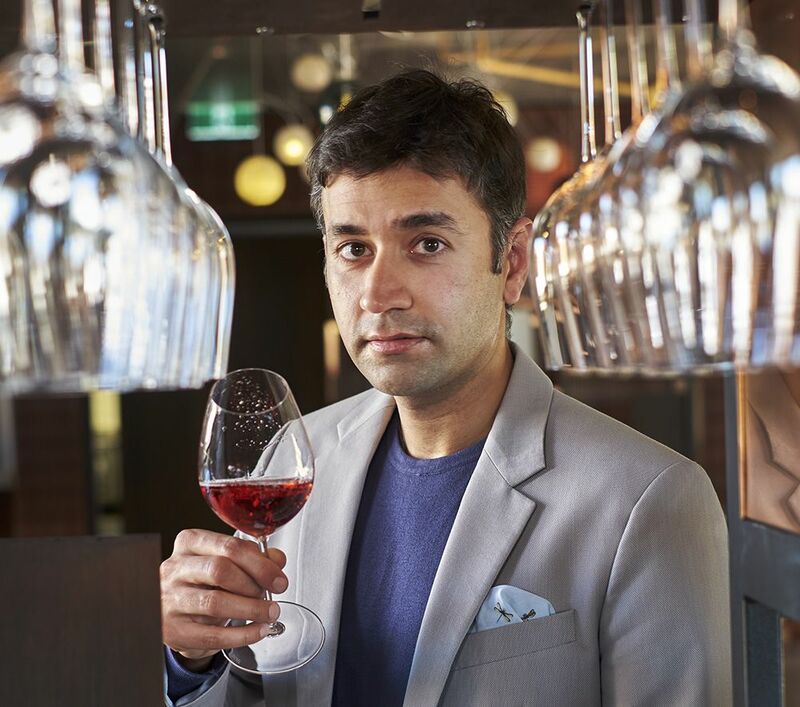 Bhatia is now head Sommeliar at Merivale’s fine-dining restaurant, Est in Sydney’s CBD. Your early life like and why wine ? I was born in Bombay and raised in Dubai, where my parents were based for 35 years. Mum and Pa both had corporate jobs in Dubai, so I went to International school for my primary education. The wine bug hit me while I was pursuing my Bachelor of Hospitality & Tourism management. I have always been very inquisitive and coming from a non-wine drinking background, I always wanted to know more about this liquid. 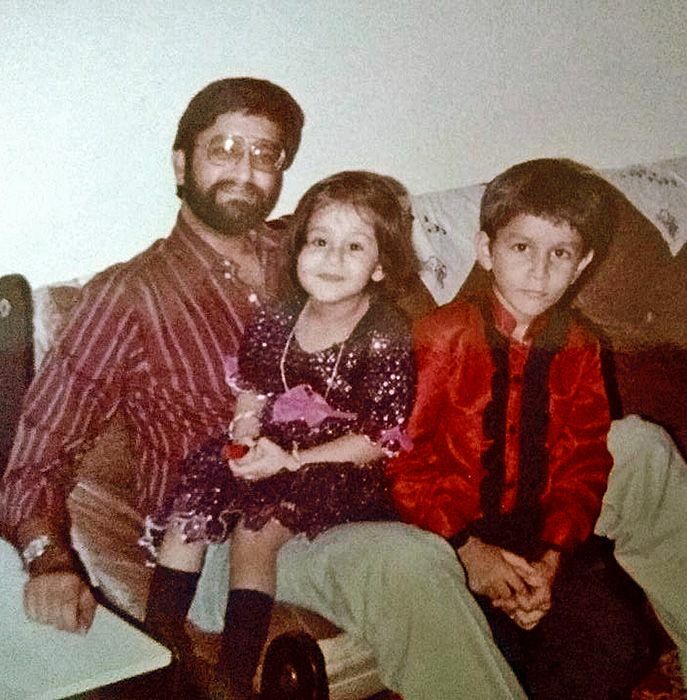 A young Bhatia with Dad and younger sister. Back then there wasn’t Google, just big hefty books, seems the more I read the more I complicated myself. I always wanted to taste it: wine’s depth is like a poetry, you just sing along with it. I am fortunate to have visited France, Italy, Germany, California, Canada, Africa etc. on some of my wine study trips. 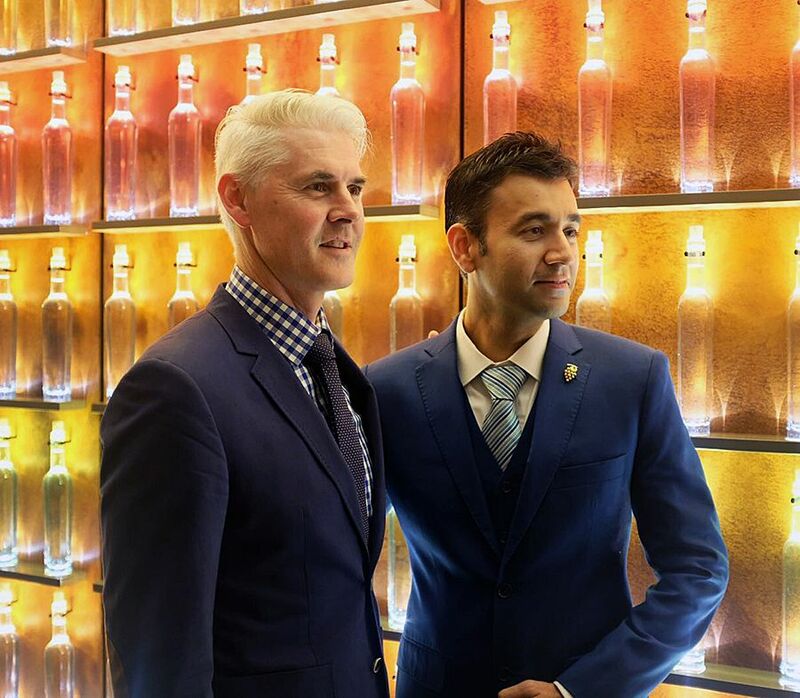 I did some extra study in France and did my apprenticeship as a Sommelier (thanks to my mentor Ashwani) at the world renowned Hotel Burj Al Arab in Dubai before moving to Cape Town, South Africa to work and study. Things in Cape town didn’t shape up my way. But I began a lifelong journey when I started work for the classical renowned French Chef & mentor Julien Bompard as an Assistant Sommelier, tasting great wines every day. 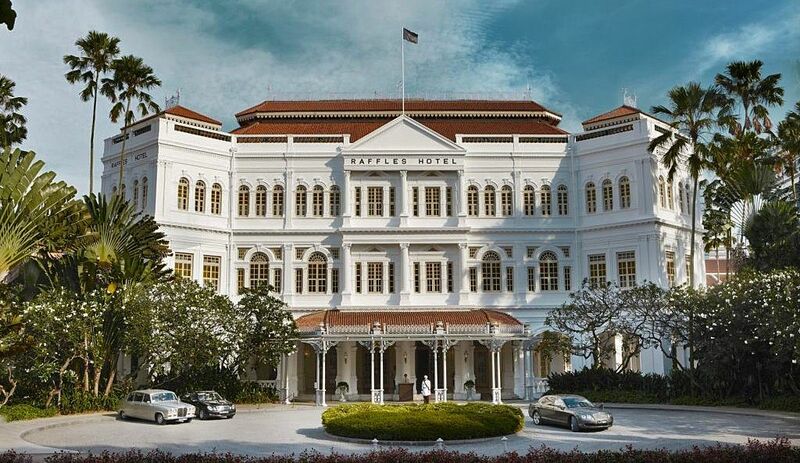 I joined Raffles Singapore as Sommelier with his blessing. My Head Sommelier there, Alvin Gho, also became my best mate. We did things together there for the betterment of the wine industry, and he taught me to be truthful to everything I did…..now we go through the thick and thin of life together. Stephane Soret, our wine director, groomed me and provided further mentoring. She later got promoted as a Head Sommelier for Raffles Hotel Singapore with 14 Food & Beverage outlets then, we did some projects in Seychelles (Pre opening) and Beijing (Chef Ferran Adria). After more than a three-year stint with Raffles, I moved to Hong Kong to join The Peninsula Hotels where I just kept learning. Hong Kong is a beast and nothing can be compared to it… I was living the dream in Hong Kong (my favorite place on earth) but I had never experienced Michelin starred restaurants. So I took the opportunity to work for three Michelin starred Robuchon au Dome, Macau where I worked with a 16,300 label wine list. I stepped down from a massive position just to experience Michelin because for me wine’s not just a commodity…. it’s culture and history ; wine connects and brings people together. I’m still studying….. it’s an ongoing journey. I’ve been here more three years now. It’s all about wine and women ! My wife Shikha is a Pastry Chef and she moved to Melbourne first for a stint working in pastry and dessert at Vue de monde. I was working at three Michelin starred, Robuchon au Dôme, the Restaurant of Late Joël Robuchon at the time. When my contract finished in Asia, I thought it was time for me to follow my wife. She’d been following me with my work commitments all over the world for years and without her support things would have not been possible. The position at Penfold’s Magill Estate restaurant came up at the right time. I was a bit skeptical at first because I’d never worked with one brand… although while I was there we built up a very strong list of Grower Champagne. 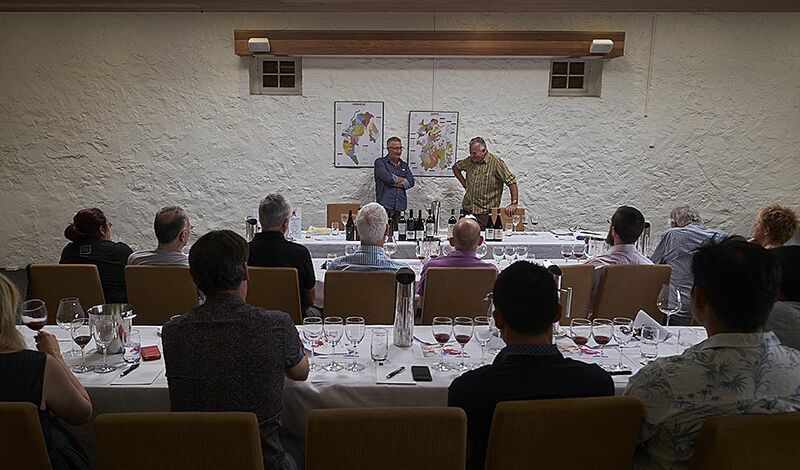 I always wanted to live in a wine region and knew South Australia was the place…… when I had a day off I could go to the Adelaide Hills or to McLaren Vale, it was great. I was in Adelaide for two years. We miss our backyard and the birds chirping so hopefully one day will be back again. I’m now the head Sommelier at Merivale’s fine-dining restaurant, Est in Sydney’s CBD. Peter Doyle. Photo courtesy FoodService / Yaffa. The famous Peter Doyle, recently retired and Jacob Davey has taken on the role of head chef. 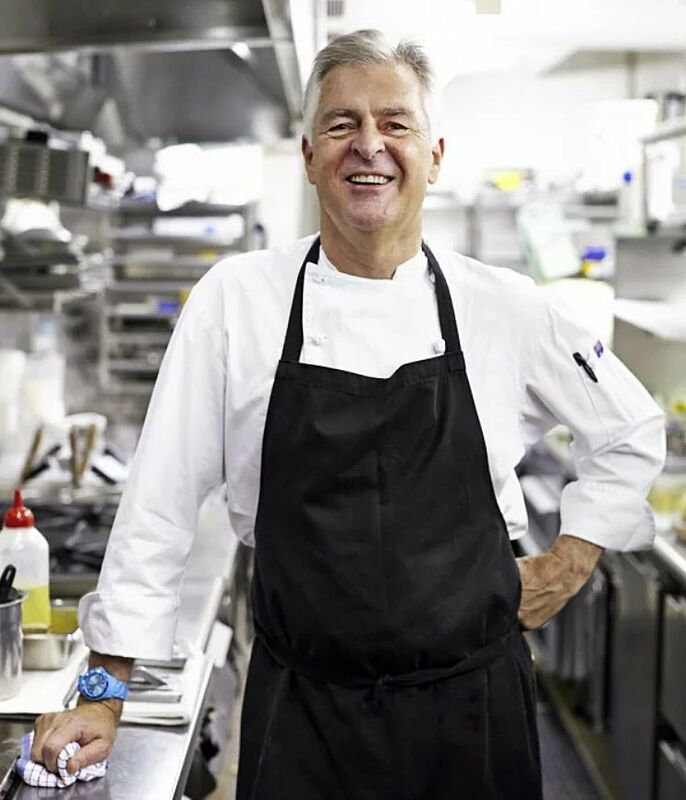 Peter Doyle has stayed within the group in a role mentoring young Chefs. It’s been a great honor and pleasure to work with a chef of Peter’s experience in such a high calibre fine dining restaurant with great wines. We have a very extensive cellar, lots of back vintage and we also get small allocations of the best international wines. We are constantly looking for new wines…. constantly updating the list. Keeps us on our toes. Ninety-five percent of my list are classic wines. We do a huge amount of tastings, wine producers from all over the country come here, I don’t have to go the wineries. Each of Merivale’s restaurants have their own head Somm. Master Sommelier Franck Moreau mentors the wine section for the group, it’s a real pleasure to work with people of his and Peter Doyle’s calibre. 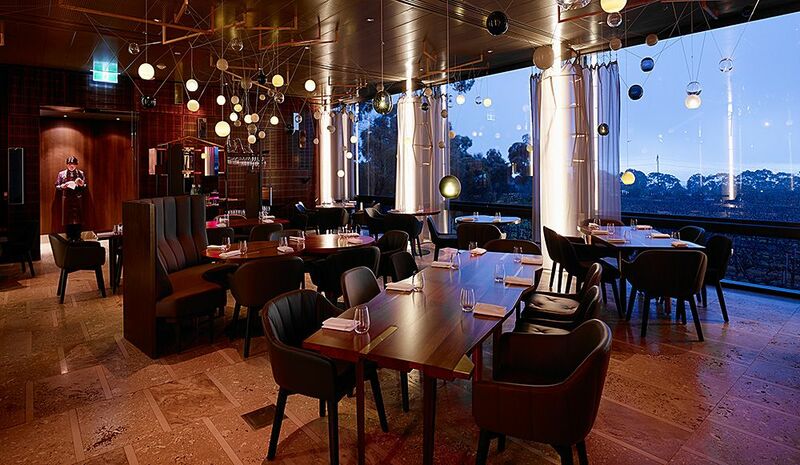 Merivale’s fine dining restaurant ‘Est’ : Photo courtesy of Merivale. 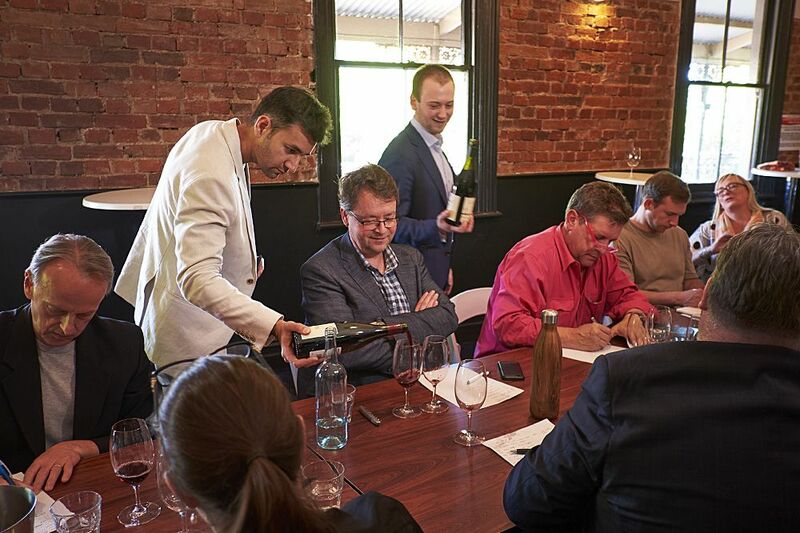 The Sommelier scene in Sydney is very serious, its full on. I’m living and working in the CBD, unfortunately unlike Adelaide I haven’t had much the time to get out to the wine regions. You still travel the wine world quite a lot. Has working in Australia changed your views ? Working in one region means I don’t get to taste the range of wines I might have in the past, but what has changed is the feeling I have when I travel. I feel quite a responsibility to represent Australian wines. For example, two years ago in Melbourne, winning the Ruinart Sommelier challenge, took me to Champagne and later I went to the Barolo Collisioni Festival in Italy. 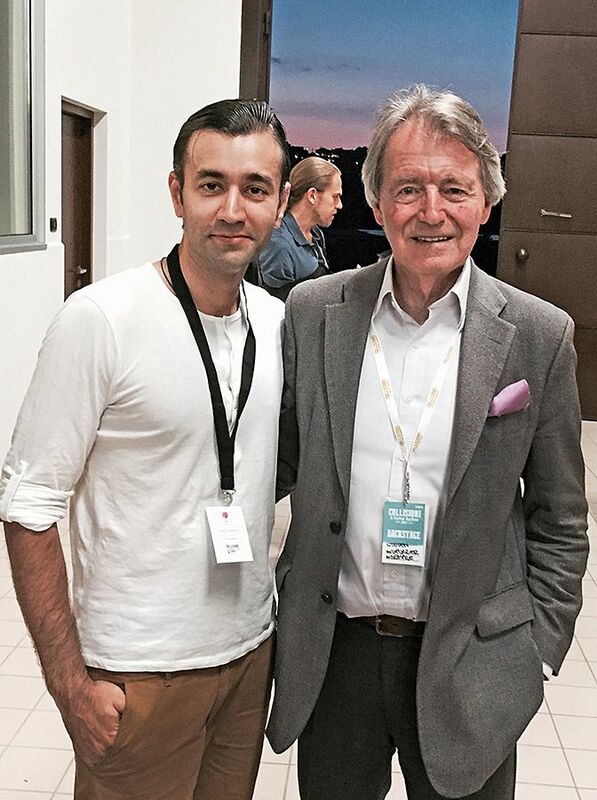 There were plenty of Masters of Wine and Master Somms, heavy hitters like Steven Spurrier. When I’m at the big tastings and I say I’m from Australia and lived in South Australia for a couple of years, everyone looks up and notices I’m from a wine region. Obviously, I get questions, for example we were tasting Arneis, everyone’s talking about ‘Classic Old World Arneis’ and I just jumped up and said hey ‘Fall from Grace’, Gill Gordon Smith makes an great Arneis, you could try that side by side at some point in your future tastings. They all get more inquisitive and say “You guys down there do Arneis?” and I’m like “we’ve gone way beyond Shiraz”, we do many native varieties from Italy, even do great Nebbiolo. I feel that when I go into different wine regions around the world and say that I’m from Australia, I’ve got a chance to change the perceptions of some of these people. 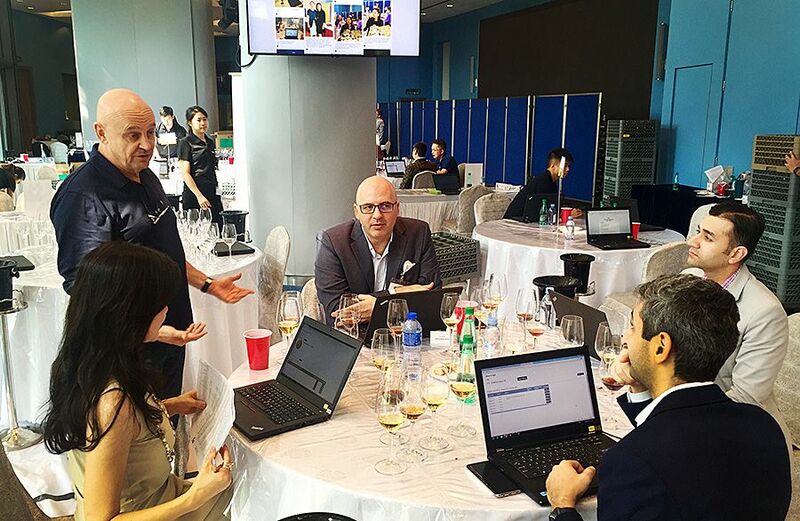 I judge Decanter every year and was in Hong Kong for Decanter recently. I met up with some of my Somm mates and started looking at their lists and I couldn’t stop myself from suggesting wine from SA and other states and producers they’d never heard of. Everybody thinks Australia makes big bold wines which is simply not true. 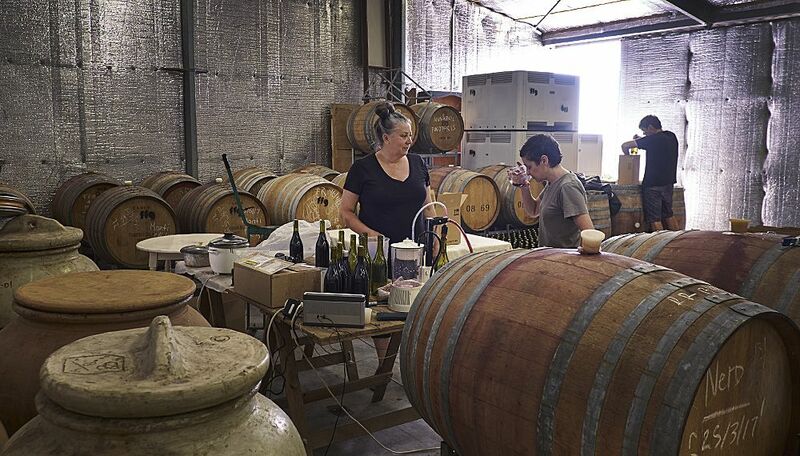 Australian wine making has revolutionised and offers great diversity. It was a great initiative, takes Grange to the next level. Showcasing something unique from the property, something no one else has done before locally. Some of the great wine companies of the world do a vintage blend, like Vega Sicilia, Opus one, Dom Pérignon P2, they all have blends. A blend of blends. A world class wine Penfolds g3 : Image supplied. It’s a good way to showcase the best of the vintages in one bottle. 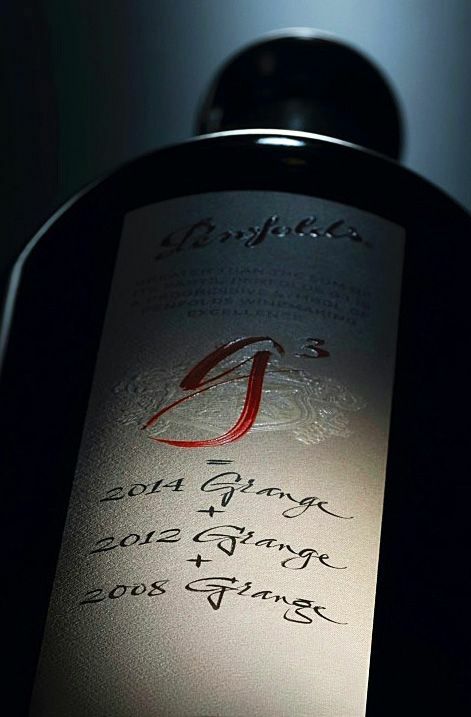 G3 is not about the Penfold’s vintage, it’s showcasing the best of South Australian wine (2008, 2012, 2014). Peter Gago has chosen some really good vintages. I was lucky enough to get a tasting when I was at Magill. It was velvety structured, complex with a nice long finish…it had all of what you’re looking for in a wine. I thought that’s cool, given a chance I could handle a bottle to myself. Usually with a younger Grange you struggle, it’s just not ready. I hope Penfolds continue to make G3 as a blend of the best vintages. I’d love to see more G3 style wine in Australian market, so I hope the allocation of G3 is restricted around the world. I’ve had a love hate relationship with it. I relate it to the trend in modern cookery when ‘Molecular Cuisine’ was established. It went viral, everyone was going, I’m going to make this, explode that, it was pulled off well most of the time, but I’m not too sure how many people are still doing ‘Molecular’ cuisine. Natural wine I think it’s gone far beyond that, it’s more like Hipster wines…. some are really clean, juicy and very drinkable and some are not. 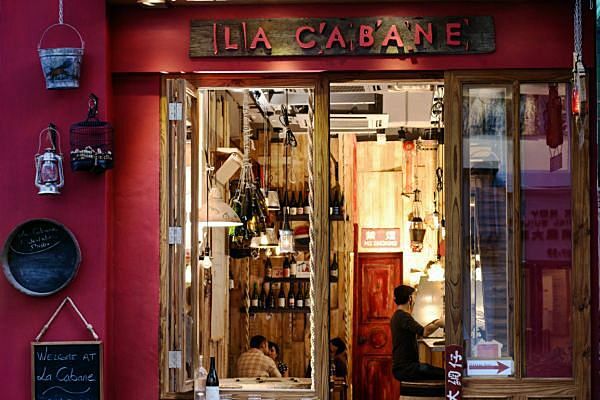 ‘La Cabane’ wine bar Hing Kong. A stink is a stink and things like that, but I think it’s a great movement. I was in Hong Kong in this wine bar, La Cabane, with my mates from Singapore. I went there a little reluctantly as they specialize in natural wine. For three days we were tasting all the natural wine… it changed my perception completely. Given the opportunity I’d have 5 to 10% natural wine on a list. What’s the main role of a Sommelier ? The modern day Somm is overlooking the entire beverage program. It’s a key responsibility to ensure that it revolves around people, performance and success. 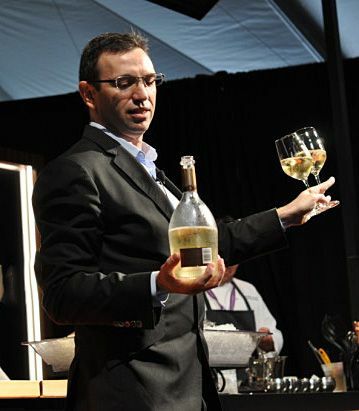 A good Somm must be a team player, humble and approachable, as you achieve more with your team rather than going solo. Staff trainings is very important… identifying talents and helping them grow is what I enjoy the most. And maintaining your beverage cost with a solid understanding of the cost of goods sold is a must. Meeting wine reps and negotiating is another skill to be acquired. Command on the floor is what makes a Somm different in the dining room. When I’m on the floor, it’s not about me, it’s about the audience or the diners. If a guest is happy to have a big bold Chardonnay with his steak he has all the rights. I’m not gonna teach him or talk him out of it, I’ll give him what he wants, what he’s asked for… then you might just suggest a little red wine for his experience. That sip might change him forever or he might just stay with the Chardonnay. Bhatia in the Penfolds Magill restaurant : Photo © Milton Wordley. As I say it’s not about me as the Somm, but it’s being a part of how people’s wine palates evolve. My Dad only drinks Johnny Walker Black label. I once gave him Japanese whiskey. He says to me “I asked for Whiskey”, I said, “It is whiskey, it’s Japanese Whiskey”, he says “I want Johnny Walker Black label that’s the best Whiskey in the world, the only Whiskey I drink”. His favourite Riesling is Blue Nunn and yes for him it’s the best because that what he drank in his early days, so each to his own. I’m not going to change my Dad’s mind. Overall and from a global perspective after working in high-end hotels and restaurants, the wine list has to be balanced. You can’t run away from the classics that people are going to roll up and ask for – like Penfold’s , Henschke, Cullen Moss Wood etc… and stuff like that. What I would hate is if you go to the city and everyone has the same wine list, and the same wine by the glass. People who visit Adelaide for example often come for a wine experience. When they go out they don’t want everywhere to have the same stuff. 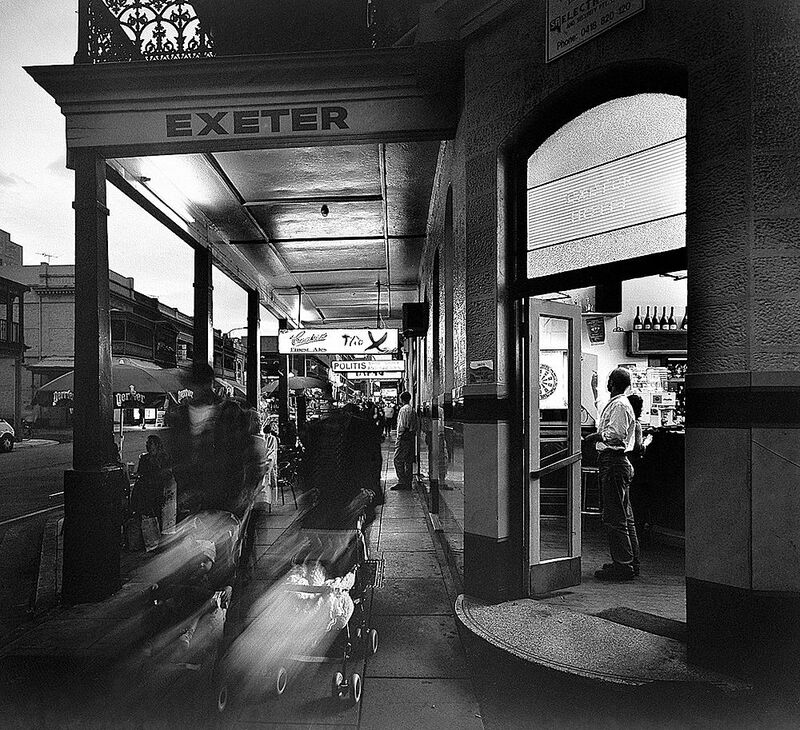 If I have friends going to Adelaide, I always suggest the Exeter Hotel, a really good pub, great range of booze and decently priced. This place has never been renovated, it’s classic, it’s old school, it’s got the feel. Go there with a few friends, smash a good bottle for $40- $70 with friends. I was told by someone that Philip White used to do the list, you could get Wendouree there and at one stage it set the record for the most Krug drunk at one place in Australia! I think overall what makes a good wine list is balance – not only in the range but in styles of wine offered alongside price points. I have been involved in the ‘Ruinart Sommelier ‘challenge for a few years and try every year. 2017 was amazing as I participated in Australia; the finals took place at Vue de monde in Melbourne last year. Thirty finalists were flown over, it must have been a good morning for me, because I won. Frédéric Panaiotis, Ruinart Chef de Caves : Photo © Wakawaka Wine Reviews. It was cool because they fly you to Champagne for a week for intensive training with Frédéric Panaiotis Ruinart Chef de Caves. It was great to meet and mix with winners from other countries, it’s a great mix, and again shows the importance of mentoring. It’s a once in a lifetime opportunity and one must keep trying. I took a month off during this time, as our restaurant Magill estate was closed. I spent lot of time in Barolo judging at the Barolo Colliosioni festival and visiting different areas. After that my wife Shikha and I went for a Stagier to Mugaritz in San Sebastien. We wanted to experience another side of the ‘hospo’ world and see what makes them the best. I truly enjoyed my time there and it’s like family now. I love the warmth and people there. 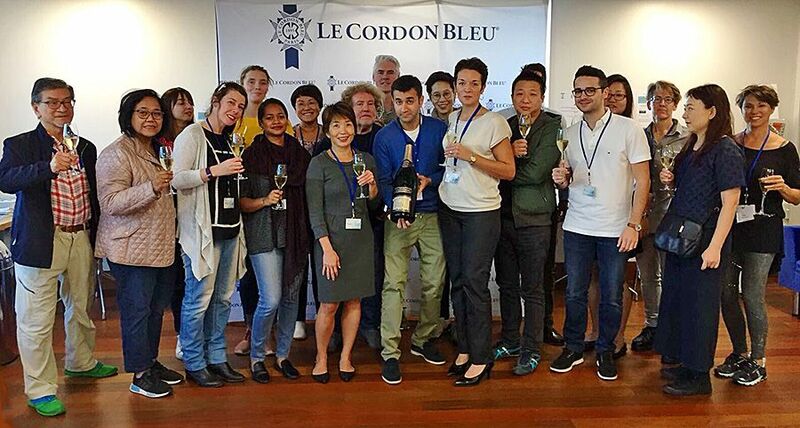 Bhatia and the group at Le Cordon Bleu Paris. Last year I won a partial scholarship offered by Le Cordon Bleu International for one of its most prestigious programmes: Hautes Etudes du Goût. Since 2012, Le Cordon Bleu International offers a partial scholarship towards the Hautes Etudes du Goût (HEG) programme. Bhatia with Shannon Hall of Le Cordon Bleu Australia after he was awarded the 2017 HEG scholarship : Photo © Le Cordon Bleu. Mrs Colette Padet, Director of Studies for the DUGGAT (University Diploma on Taste, Gastronomy and Fine Dining) at the University of Reims Champagne-Ardenne, Mrs Catherine Baschet from Le Cordon Bleu Paris, Dr. Roger Haden, Academic Director of Le Cordon Bleu Australia and Ms Edwige Régnier, HEG Programme Manager, were involved in the selection panel. Their criteria for selection were the expression of vision and aspiration, how the HEG program would complement the applicant’s education and support them professionally, as well as the applicant’s strength of personal conviction. I was so chuffed when the Jury decided to award the 2017 scholarship to me as I’ve wanted to do this program for many years now. I just graduated last week. Due to work commitments, I couldn’t attend the formal graduation ceremony in Reims….but I have my Diploma on its way. Memorable or Old Wines ? 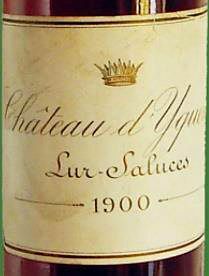 One night at a Raffles’ food and wine experience, when I was Head Somm, I had the pleasure of tasting a 1900 Château d’Yquem courtesy of Sandrine Garbay, the Château d’Yquem chef de cave…….a 1900 Château Margaux was opened on that day as well. The d’Yyquem was dark amber brown and still drinkable…Syrupy, toffee caramel notes – but the Margaux was way beyond its peak….it tasted very lean and tired … Still drinkable but had a very little life left . At Raffles, we were really blessed to have great producers, I may never see them again, maybe I will, but I don’t know. Find yourself a good mentor. 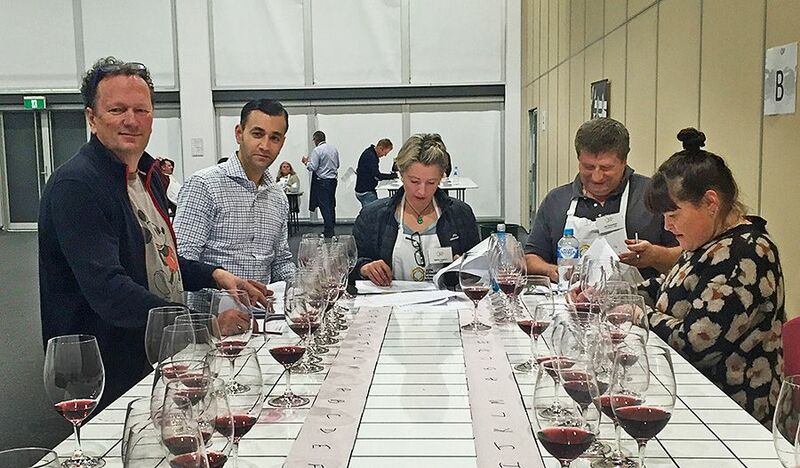 Judging at the Royal Adelaide Wine Show with below judges including Doug Goven of the Victory Hotel and Sarah Crowe of Yarra Yering. You can read ten encyclopedias and study, that’s important… but when you get to implement those ideas on the floor, you need a great mentor, you need to work with good wine lists. And you need to taste as much as you can…..
Be open minded because at the end of the day, it’s not about you. If you are open-minded there is always something new to learn. Step up in roles, be a team player, always humble and approachable to customers. Learn the financial side – as it will help you grow. Native Italian Varietals and Grenache. I also see palates shifting, people are looking for lighter style wines and less oak influence. We still have a demographic looking for the big, bold, oaky wines. We also see the other side with more elegant, refined, lighter style wines. A lot of people over here in Sydney are open minded and willing to try…So were people in Adelaide and at Magill. Back then I could make them discover anything from Sangiovese to Tempranillo…. There is a shift and just look at the Chardonnay movement… Aussie Chardonnays are make it big outside Australia. So many talented producers in the Adelaide Hills, Geelong, Beechworth, Macedon Ranges, Margaret River and Tassy are doing a wonderful job. I love it here in Australia. In the end don’t forget…. wine is just a fermented grape juice… so don’t complicate it…if you like it drink it and if not then let someone else drink it……keep it simple, have fun and cherish life….in Vino Veritas.